Gorgeous and a lot of fun, even with its many, many plot holes and issues. MEANWHILE… Rey (Daisy Ridley) tries to convince Jedi Master Luke Skywalker (Mark Hamill) to come aid in the fight against The First Order and Kylo Ren (Adam Driver). Luke refuses and, when he senses how powerful Rey is in the force, briefly trains her while giving lessons on why the Jedi should simply end. Rey now has a double agenda: 1) get Luke to come back with her, 2) turn Kylo Ren away from the dark side. I don’t THINK any of that is “spoilers” as you’ll learn it all in the first couple scenes of the film. Also, Popzara insists that I give a brief overview of the plot… so I had to tell you something. Star Wars: The Last Jedi is a cinematic work of art. It’s beautifully shot, and you can tell the cinematographer had a lot of fun with it. The special effects are equally stunning, making this film a true spectacle of the big screen. The look alone is with the price of admission. Add to that the amazing sound design and masterful score, makes this new Star Wars installment an experience rather than just a film. The acting is spot on. Everyone did a fantastic job. Mark Hamill brought something new to the role of Luke that gave him depth and a more thought-out character, while still showing hints of his younger self. Oscar Isaac got a much larger role here than he had in Star Wars: The Force Awakens, and proves that he is a dramatic force. This definition sums up the movie beautifully. The same plot device occurs in this film time and again where it looks like all is lost… and then some outside source swoops in at the last second to turn the tides. Sometimes it’s a huge moment in the plot, sometimes it’s just a simple thing that makes you go, “Huh. Well that seems convenient.” But it happens a lot! Another problem with the story was that there were a couple times where the story took an odd turn for the sake of paying lip service to the fans… having a beloved character suddenly show up and either do or say something that reminds us of previous Star Wars films. It didn’t help the story so much as give the audience a reason to applaud. There were also several false endings. There were several moments that felt like a solid ending that would leave us on a crazy powerful cliffhanger, dying to see the next film. Each time it was like “Oh, here’s where it ends! AWESOME!” but then the movie kept going. The actual ending, however, felt very lackluster and left me with almost no enthusiasm for the next “episode”. People on Facebook told me that my problem is that I went in as a movie reviewer, looking for negatives to talk about and to tear the film apart. That’s not the case at all; I’m a Star Wars fanboy! I went in completely geeked and ready to have my mind blown for two-and-a-half hours. And if it were just about good acting, great CGI and beautiful cinematography and music, I would have! Unfortunately, movies are, at the end of the day, stories on screens. And this one had a lot wrong with it. Obviously, go see Star Wars: The Last Jedi. It’s a fun time. It’s just that not things work as well as it could… and not minor things either. 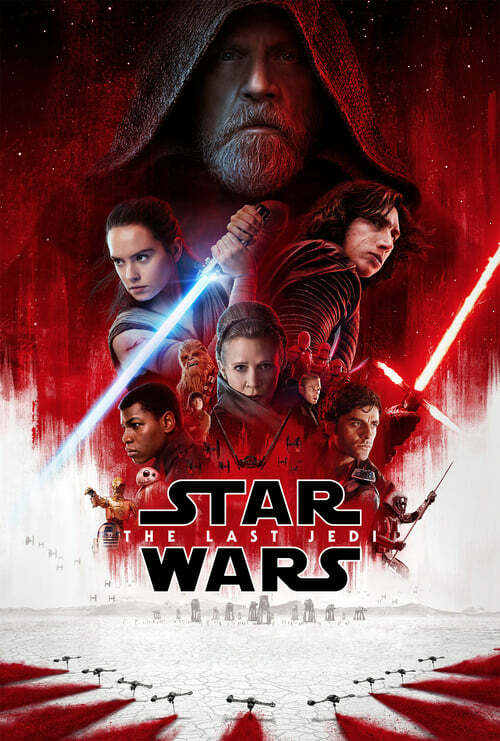 Enough that both me (and my friend) rolled our eyes and groaned at certain parts and had a full on talk afterward about how poorly they handled the Rey/Kylo Ren tension, all the plot holes and conveniences, and discussed the scenes that were completely throw away and could have made this movie 20-30 minutes shorter without feeling like we lost anything substantial. Of course, we had our fair share of laughter and cheering as well, which shows it’s still a good time and worth your money. Though, I kinda wish I had paid the extra money for the Dbox chair to turn the movie into an amusement park ride!